Register for CSCMP’s 2017 Conference today! The Council of Supply Chain Management Professionals (CSCMP) is the top worldwide professional association dedicated to connecting, educating, and developing the world’s supply chain professionals throughout their careers. 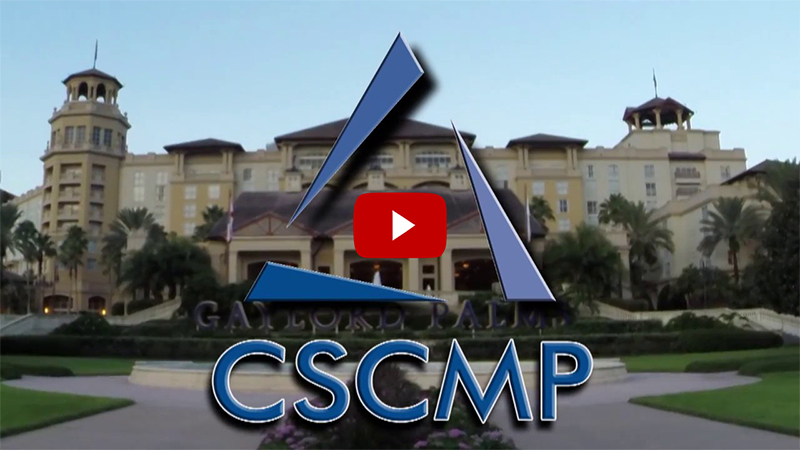 Recently CSCMP held its 2016 Annual Conference in Orlando, Florida for nearly 3,000 professionals, representing all facets of the supply chain. Attendees hailed from every state in the US and 40 countries globally. The conference addressed the major changes Supply Chain Management is facing both today and in the future, with educational sessions from industry disrupters, thought leaders, and creative visionaries like GE, Nike, Johnson & Johnson, Intel, NASA, LEGO, and many more. Does Paying Higher Truckload Rate Yield Better Service? – Research presentation and audience engagement in conversation about key attribute patterns across a portfolio of truckload strategies. Location, Location, Location...Technology to Design Your Network – Presentation of tools, key issues, and real-world perspectives to achieve an optimal network for serving customers. Disney - How Great Supply Chains Create Value – The former Chief Supply Chain Officer at The Walt Disney Company shared how SCM professionals can create shareholder value by accelerating revenue, reducing costs, and optimizing working capital. Disruptive Ideas: A Panel of Leading Surface Transportation CEOs – Discussion of how transportation is creating positive disruption to supply chains. Disconnected in the DC: Why Metrics Matter – Coca-Cola Parts shared how they're using the DC Metrics Study to better align with Coca-Cola and improve performance. Visit our conference microsite for additional session detail. While you may have missed out on opportunities to connect to the latest supply chain management knowledge, research, and industry developments this year, you can still get in on our 2017 conference, which is being held September 24-27 in Atlanta, Georgia. *Discount not valid for Student, Young Professional, Educator, Corporate, or Supply Chain Exchange registration types. Since 1963, the Council of Supply Chain Management Professionals (CSCMP) has been the leading worldwide professional association dedicated to education, research, and the advancement of the supply chain management profession. With more than 9,000 members globally, representing business, government, and academia from 62 countries, CSCMP members are the leading practitioners and authorities in the fields of logistics and supply chain management.